The development of the Better Fertilizer Decisions for Crops database has identified gaps in the current region, nutrient and crop combinations. This project will generate data for the dominant crops in the farming sytesm that currently are under-represented in the database. 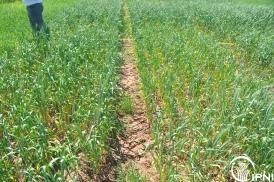 Sites will be selected to develop soil test-crop response relationships and by benchmarking the less common species against wheat and sorghum, to enable the understanding of critical values to be extrapolated more generally across the industry. This project is supported by the Grains Research and Development Corporation. The Better Fertilizer Decisions for Crops database now has results for over 6,000 field nutrient nitrogen (N), phosphorus (P), potassium (K), and sulfur (S) response and soil test results from across Australia. While the data set is comprehensive for wheat in particular, there are gaps remaining for particular crops and underrepresented regions where cropping is expanding.